Why does everything start to come good just as you are about to go away?? Toms are doing really well, courgettes have finally decided to grow, cucumbers are doing well, caterpillars are needing collection every morning and chillies, (sorry for the naff picture.) 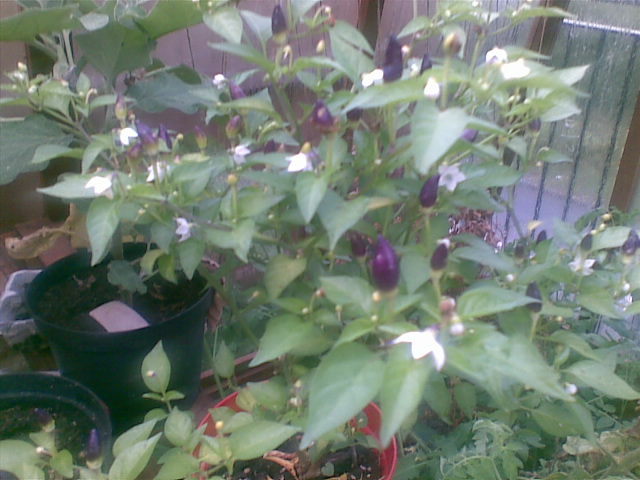 It has taken two years to grow this plant, (i’m quite chuffed as you can imagine) this year there are loads of small bullet shaped fruit, twilight chillies go through a number of colours before hitting the jackpot and being devilishly hot!! We may make some Chilli jam, mmmm.